Tired of the power struggle? Picture it… happy kids, smooth transitions, more smiles. Let Schedule Power help you live it! 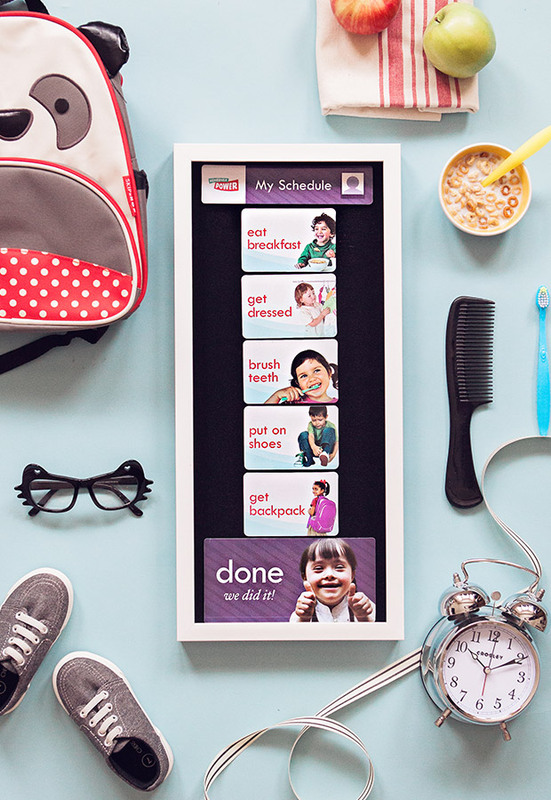 Our schedules are powered by simple, sharp pictures that motivate kids into action. Our Schedule Power Preschool Kit shows children the plan for the day so they can manage emotions, transitions and expectations. Select from 19 activity cards to create your personalized daily schedule for your preschool, daycare or childcare setting. Our Schedule Power Parent Starter Kit is designed to target the most difficult times of the day for families: mornings and bedtime. 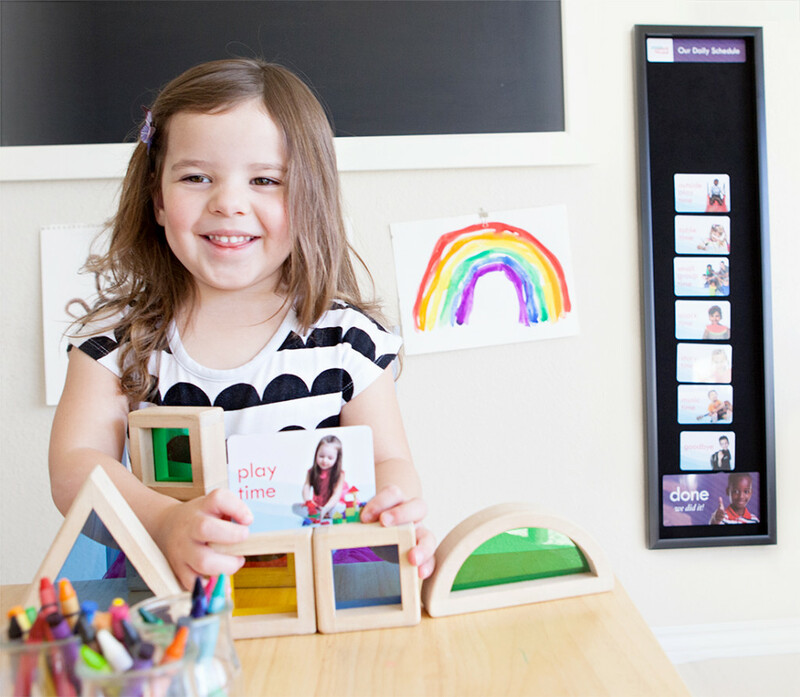 Select from 17 activity cards to display your child’s personalized bedtime and morning routine on our framed Velcro board. Schedules unite adults with young children to complete a task as a team. Instead of nagging, schedules eliminate confusion and remind children if they forget or don’t hear or understand the expectations. Instead of dealing with challenging behavior, schedules offer unlimited opportunities to give high fives, hugs and smiles.